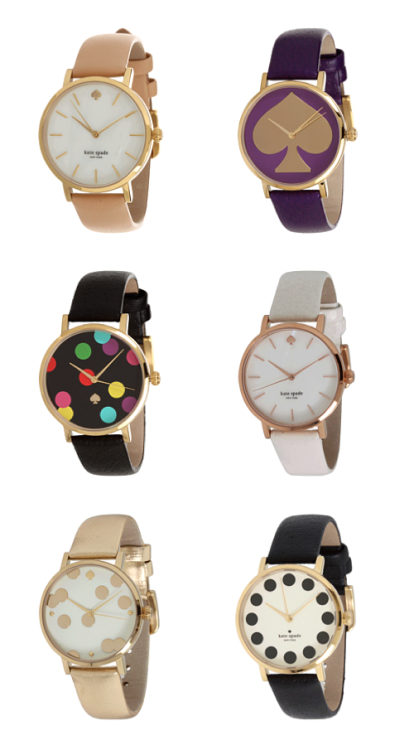 I am seriously in love with the Kate Spade Metro Watch right now. I have a gold link chronograph watch I adore, but I'm always casually on the hunt for a leather watch, and this one has currently struck my fancy. What's not to love about all the polka dots, the gold and rose gold detailing, and the fun colors? I'll take one of each, please. What do you think about this watch? Are there any other leather watches you adore?